It’s a brand new year and while that often means new goals and resolutions for most of us, it unfortunately, means some people will try to recycle the same old excuses. 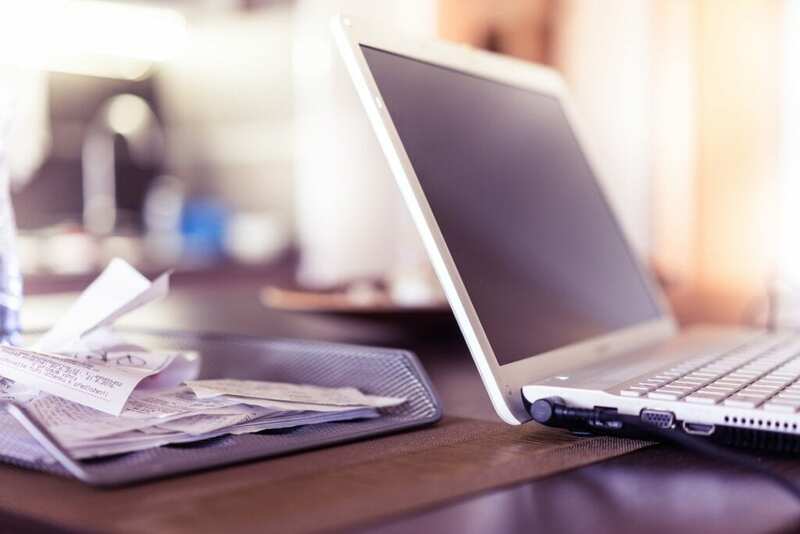 If you’re trying to improve your finances and manage money better, you probably know by now that you won’t get anywhere by making excuses for why you can’t seem to get it together. The best way to become better at managing your money this year is to get rid of your top money excuses and overcome your biggest challenges. Here are my best comebacks for 5 money excuses I always hear. This is probably the most common excuse I hear. I used to give this excuse myself all the time so I definitely understand the feeling of having a low income with a ton of expenses. I used to think that if I could just earn money, all my problems would be solved and I’d be able to reach many of the financial goals I’d been pushing off. When I did start earning more money, I kept trying to use this excuse and found that it was just holding me back. No matter how much or how little your earn, money is not just going to fly over to your savings account. You need to make the effort to place it there. You can do this by paying yourself first even if you start by transferring just $10 to your savings account. Cut out impulse purchases. We all have them. Maybe you go into Walmart one day and pick up an item you really didn’t need or go to Dunkin Donuts and buy coffee and a breakfast sandwich for two days straight. That money could have been put into your savings account instead. If you commit to setting a little money aside at the beginning of the month, you won’t have it later as a temptation to spend on unnecessary things. While earning extra money won’t solve all your issues, giving yourself an income boost can help your situation quite a bit. If you do want to start saving more or crushing your debt, you’ll need to earn more money. You can do this by getting a side hustle. Working extra hours on top of your regular job isn’t always easy however, and it can lead to burnout. This doesn’t mean you should write off side hustling completely. There are plenty of low-effort ways to earn extra money. 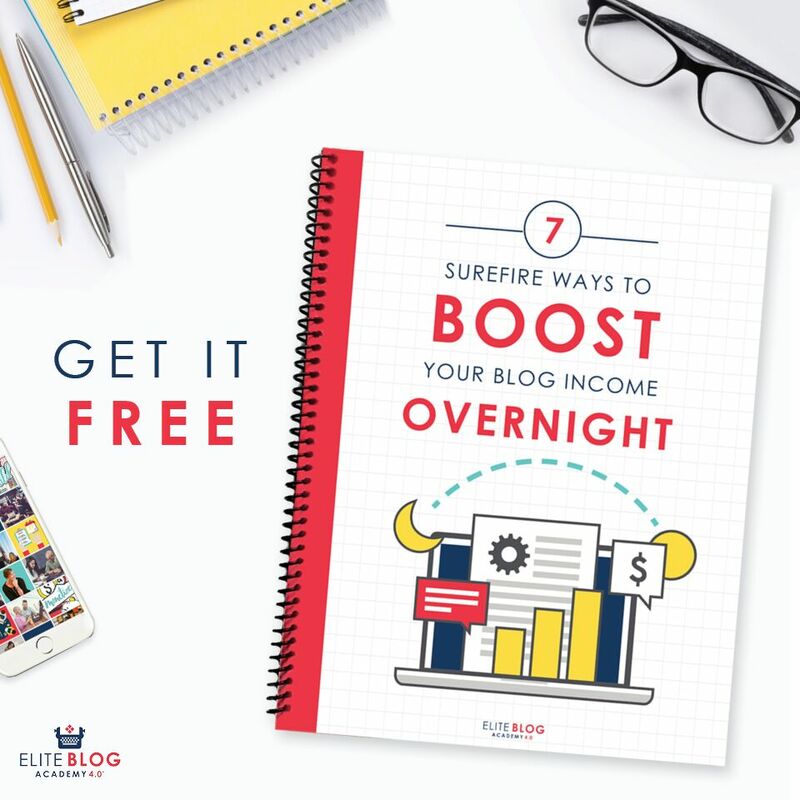 You can start using Swagbucks to earn gift cards for purchases, freelance for just 5 hours per week, spend a few minutes reviewing websites with User Testing, take surveys during your lunch break, or sell items from your home online. You probably won’t become rich or earn a killing, but you will earn extra money that will make a difference. Like I said before, the extra money you have is not just going to fly into your savings account. If you’re already working two jobs or doing lots of overtime and still can’t seem to make ends meet, it might be due to the fact that you don’t have an emergency fund. Saving up for unexpected expenses is crucial because they are bound to happen. If you don’t have the money, it can really hurt your finances and cancel out any progress you might have made. First try to lower your living expenses as much as possible. Cut back on extra costs like travel, dining out, extracurricular activities, expensive cell phones etc. even if it’s just temporarily. Then start automating your savings to build up an emergency fund that can cover at least 3 months of expenses to start. Use your tax refund, bonuses from work, gifts, and lump sum payments to boost your balance. You can also sign up for services like Digit which helps you save more money automatically by collecting ‘spare change’ from your checking account. This is another excuse I’m tired of hearing about. Paying off debt is more about mindset and motivation than it is about money. The journey can be long and weary, but if you’re committed and have the right mindset, you’ll make it happen. You simply need to prioritize debt payoff and make some permanent or temporary sacrifices. When I started prioritizing debt payoff, I put a lot of other goals I had on hold like buying a house, sending my son to private school, and traveling among many other smaller expenses. This decision freed up more of my income to put toward debt. I’m content living in my current apartment but I’d love to move to a bigger space. However, I know that if I do, that might mean I can’t pay off my debt as quickly. When it comes to debt payoff, it’s all about choices. Paying off debt isn’t my top priority, but it’s pretty high up there. What expenses are you choosing to focus on over debt payoff? This excuse can seem like one of the most justifiable ones. If you have debt and are prioritizing paying it off, you may not feel like you should or can start investing. If investing isn’t your focus right now that’s fine, but if it is, realize you can start investing without much money at all. First, you can make contributions to your employer-sponsored 401(k) or open an IRA (individual retirement account). While the maximum annual contributions for an IRA is $5,500 if you are under 50, you don’t have to start out by maxing your retirement out. When I first started investing, I contributed what I could at the time which was around $100/month. If investing is important to you there’s not much of a reason to put it off. You may want to pay off debt aggressively for a year then start making small contributions to your investment accounts the next year which is better than nothing. It’s easy to give excuses when something is hard to do if you just don’t want to do it period. If you truly want to improve your financial situation, you’ll realize that there aren’t any worth excuses and it takes a lot of hard work and sacrifice to meet your goals. Do you see the difference? There is no use in placing blame by making excuses when you could be taking action and making conscious choices. 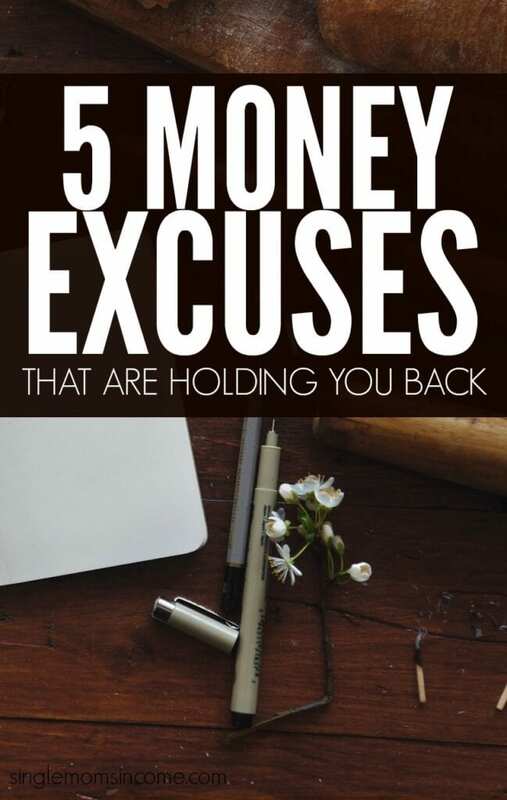 Have you ever used any of these money excuses? I will admit, I have used a few of these at different times in my life. We are especially guilty of #3. Every time my husband gets a raise or I make more in my business, we tend to just spend more. We are working hard to stop the cycle in 2017. I used a lot of these excuses before too. Avoiding lifestyle inflation can be tough but it helps to ask yourself why you’re spending more and what your end goal really is. #5 is the hardest because of what you mentioned – if you’re prioritizing debt payoff, why even invest? But investing little by little makes a difference! Great post. Thanks Lisa. I struggled with that one as well then realized that I didn’t have to make debt payoff all or nothing and it allowed me to loosen up a bit.